TypeScript tutorial provides basic and advanced concepts of TypeScript. Our TypeScript Tutorial is designed for beginners and professionals both. Our TypeScript tutorial includes all the topics which help to learn TypeScript. These are Introduction of TypeScript, Features of TypeScript, Components of TypeScript, TypeScript first program, TypeScript Types, TypeScript Variables, TypeScript Operators, TypeScript Decision-making, TypeScript Loops, Functions, Classes, Arrays, Namespace, Module, Ambient, and many more. 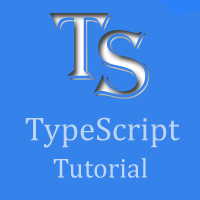 We have developed this TypeScript tutorial for beginners and professionals both. There are given a lot of examples with TypeScript editor. So, you can easily edit your TypeScript code which will help you to learn TypeScript easily. We assure you that you will not find any problem in our TypeScript tutorial. But, if you find any mistake, you can post it in our comment section.